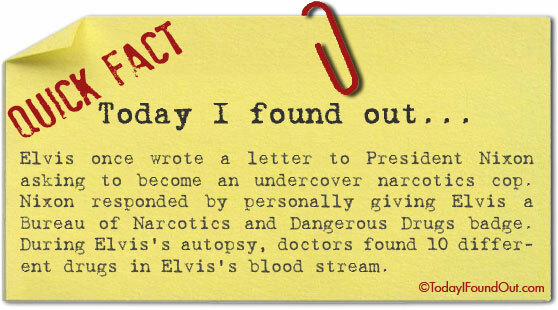 Elvis once wrote a letter to President Nixon asking to become an undercover narcotics cop. Nixon responded by personally giving Elvis a Bureau of Narcotics and Dangerous Drugs badge. During Elvis’s autopsy, doctors found 10 different drugs in Elvis’s blood stream.